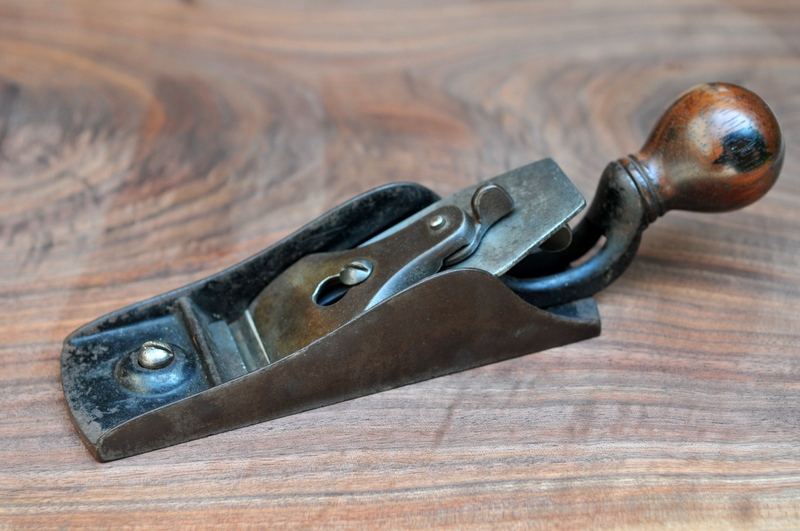 Unless you live in a city apartment, or happen to be wealthy, disinterested, or lazy enough to pay someone to do all of your home maintenance projects, chances are now and then you have need of a hand plane. Even the most ardent power tool minded woodworker can’t escape the reality that some jobs are just easier solved by a couple of passes with a hand plane than with anything you plug into an electrical outlet. Whether you’re an active hand tool user, a neophyte learning to work wood by hand, a weekend woodworker or a casual homeowner, a basic set of good hand planes is essential. There’s a great deal of generalization that goes into compiling a list like this. 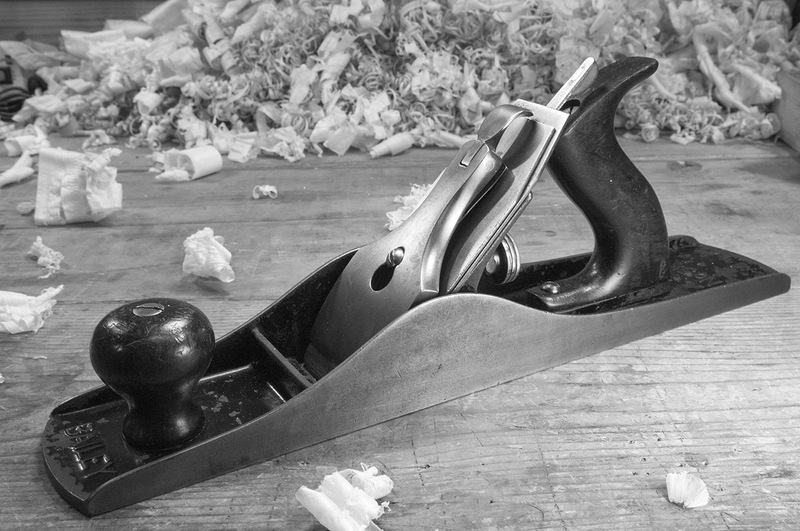 Because hand planes tend to be used for specific applications, some woodworkers my find greater utility in some planes than others. Someone who makes musical instruments would obviously need different tools than a furniture maker. 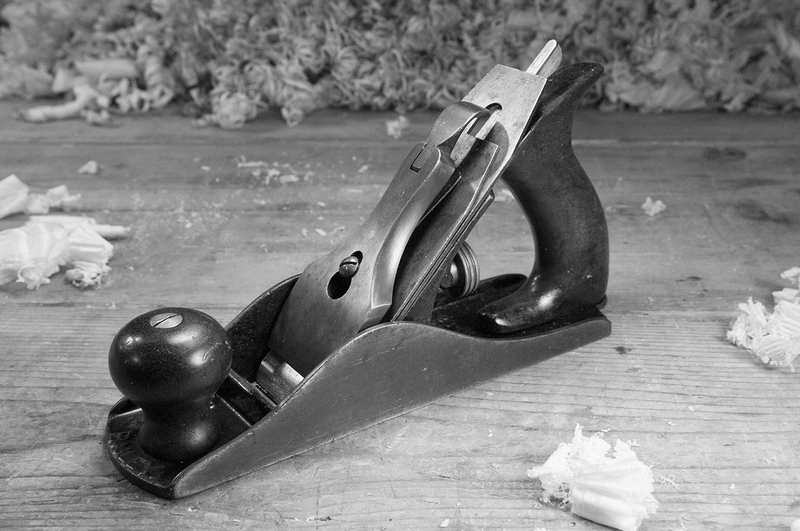 But speaking in the broadest sense, these are the 5 essential hand planes that virtually everyone should own. Certainly for anyone interested in acquiring a first set of planes to use around the shop, farm, or house in the suburbs, these tools offer the greatest utility and versatility. As the first plane one would use in preparing a surface, the Fore plane takes the most aggressive cut, removing rough saw marks and leveling out low and high spots, etc. The iron is sharpened with a significant camber, or curvature to the cutting edge, with as much as 1/16″ to 1/8″ difference between the center and the edges. This removes the most waste, but subsequently leaves the surface of the wood with a scalloped finish. While either the Stanley no. 5 or no. 6 will do, the no. 5 is the better choice in our 5 plane roundup. Rough planing is a very physical activity, and the lighter weight of the no. 5 makes it less fatiguing to use. It’s smaller size also makes it more appropriate for the wide variety of other day to day planing jobs that most people likely face. The no. 5 is, in my opinion, the most versatile of all the bench planes and the plane I use most often. 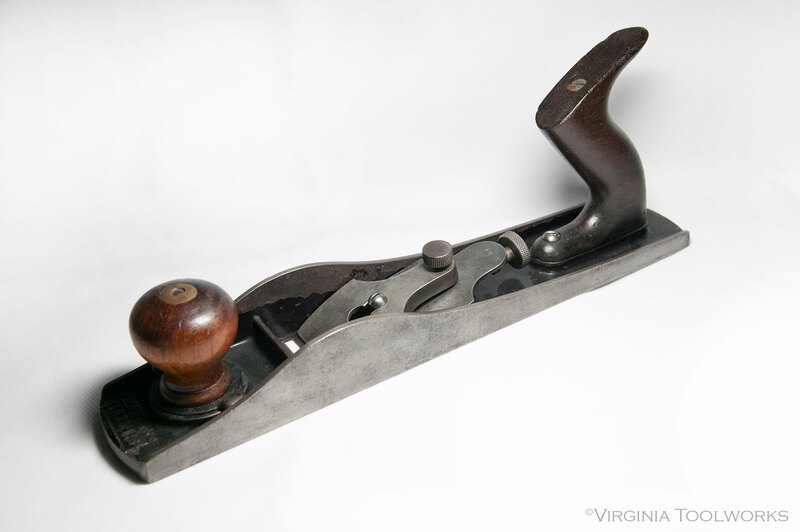 Try planes, more commonly known as Jointer planes, are those over 18 inches, and are most commonly 22 to 28 inches. Stanley’s offering of Jointer planes are the no. 7 and no. 8, measuring 22 inches and 24 inches respectively.As the name implies, a Jointer plane excels at truing the edges of long boards that will be glued together to make table tops, shelves, and carcasses. But its value and place on the workbench isn’t limited to edge work. 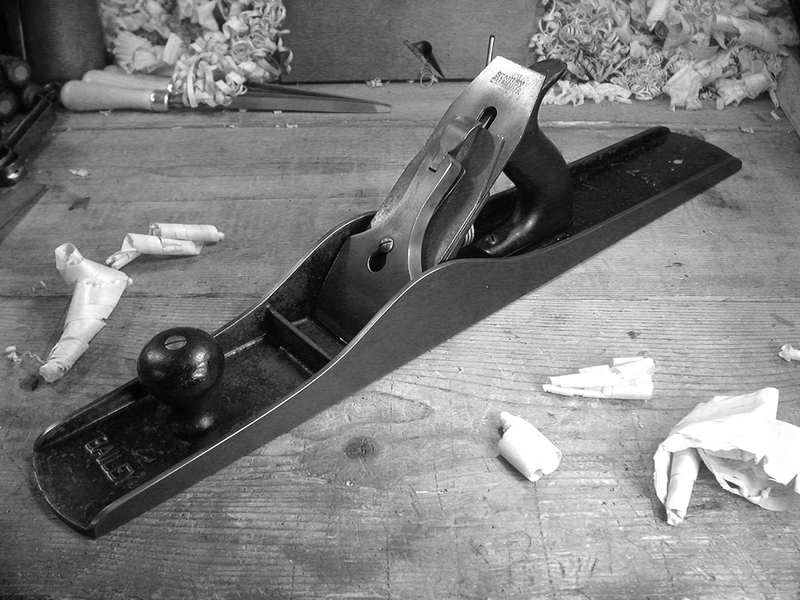 The Try, or Jointer, plane is used to flatten and refine the surface left by the Fore plane. Its extra length allows it to true large flat surfaces without riding up over the peaks or dipping down into the valleys created (or left uncorrected) during the initial surface preparation. 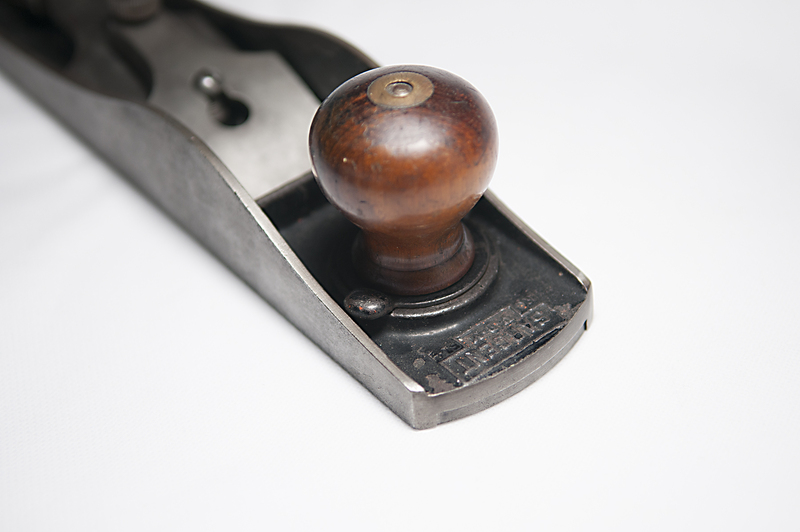 Despite its heft, the Jointer should be considered a precision tool. 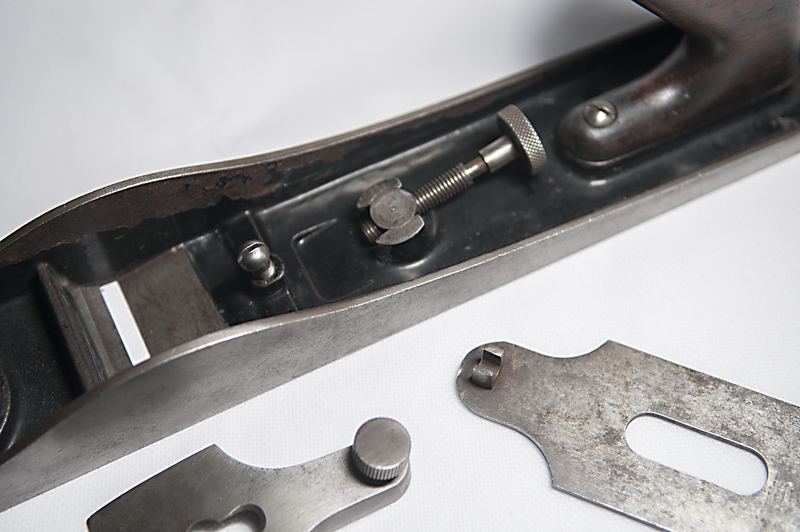 The iron should be sharpened with a slight camber (or perhaps none at all if used exclusively for edge work), and the frog typically adjusted with a fine set for thinner shavings than the Fore plane. Working both across the grain and in all directions, the Try plane leaves a perfectly flat surface that requires only final touch up with the Smoothing plane. Your choices between the two standards, nos. 7 and 8, are really a matter of personal preference. In this case, Newton’s laws of motion lend a helping hand. The greater heft is actually a benefit, in that once you get it moving the additional mass helps keep it going with less effort. That said, the no. 8 is quite a beast, and my personal preference is for the lighter and shorter no. 7, which I find easier to manage. Smoothing planes include the shorter planes in the lineup, those 10 inches or less. Stanley made a number of planes in this range, from the tiny no. 1 to the most popular no. 4 and its wider sibling, the 4-1/2.The Smoothing plane is the final plane used prior to applying the finish. Executed properly, there should be no need for sandpaper. 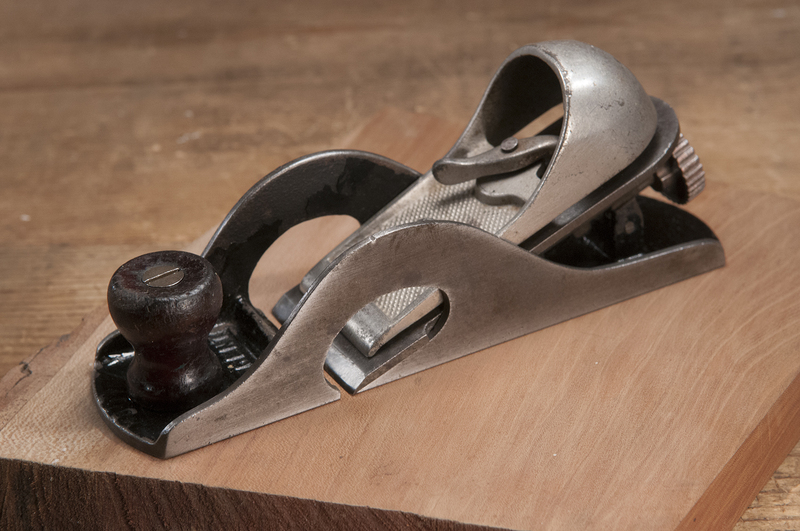 Used primarily with the grain, the Smoothing plane is normally sharpened with just the slightest camber or left straight with its corners eased to prevent them from digging in or leaving tell tale ‘lines’ along the edge of the cut. The frog is adjusted with a closed mouth for the finest of cuts, and the shavings produced are tissue thin, ideally produced from long strokes covering the full length of the wood. Aside from perhaps a little hand scraping here and there, the surface left by the Smoothing plane should require no further treatment. In fact done correctly, sanding would actually diminish the quality of the surface left by the Smoother. More so than with the Fore and Try planes, the choice of which size Smoother is really a matter of and comfort and the scale of your work. All of them will do a comparable job, although the nos. 1 and 2 are really only suited for very small surfaces (and very small hands). The no. 4 is considered the most versatile size, and the one I use most often. However, I do have a smaller no. 3 and a wider no. 4-1/2 that I reach for, depending on the size of the project. But since the point of this article is to identify the three core bench planes you’ll need for woodworking, the no. 4 is probably the best overall size choice for a single Smoothing plane for most people. The no. 9-1/2 plane predates the no. 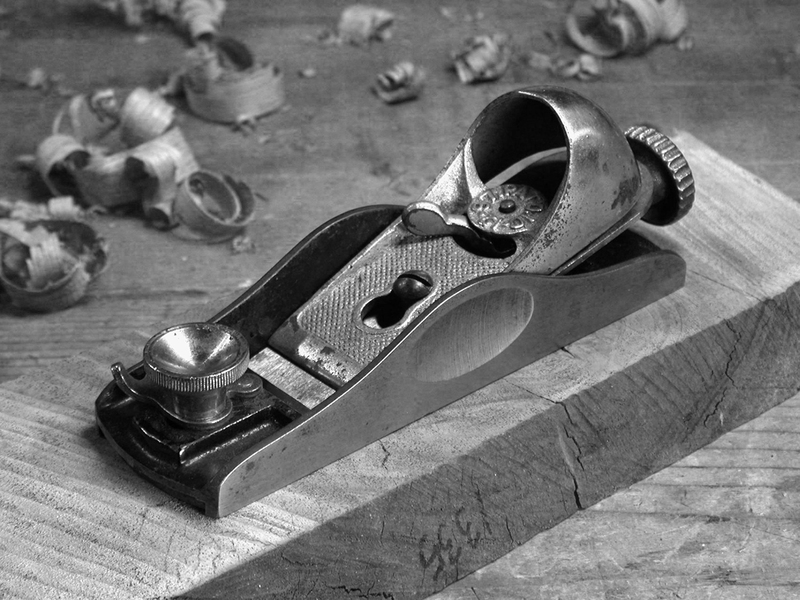 18 by about 15 years, was in production longer, and was the best selling block plane Stanley ever made. 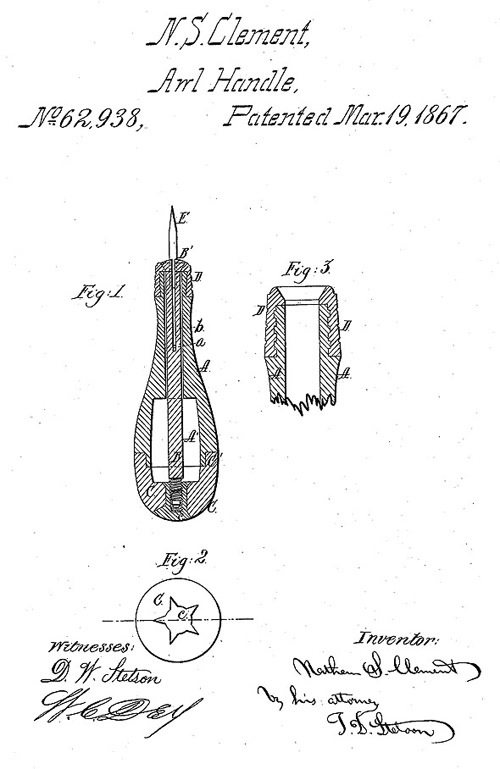 It’s still made today, in fact, although the current design features a completely different mechanism from the original. Admittedly, the no. 9-1/2 was the more popular of the two. I truly don’t know why, though, since the design of the no. 18′s knuckle cap was far superior to the hooded lever cap on the no. 9-1/2, and it’s also more comfortable to hold in the hand. I also find that the hooded cap on the no. 9-1/2 is more prone to slip around a little in use. Not so with the no. 18. Like the no. 18, the 60 series of planes are approximately 6 inches long. 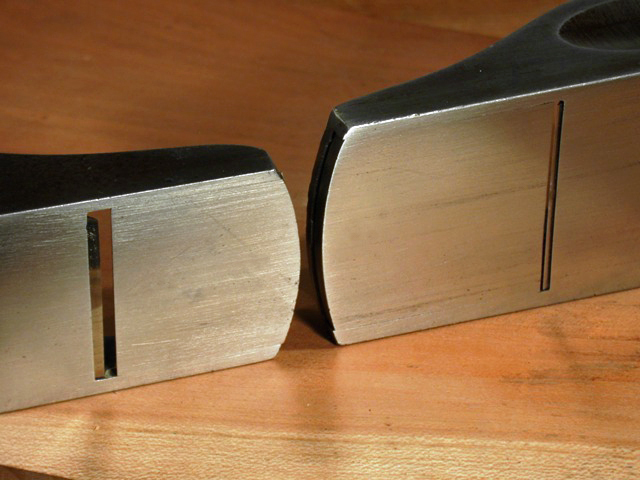 However, the 60 series are narrower with an iron width of 1-3/8 inches, vs the 1-5/8 inch irons on the standard angle planes, and the 60 series feature a narrower version of the hooded lever cap used on the no. 9-1/2. The 60 series planes also have adjustable throat plates. 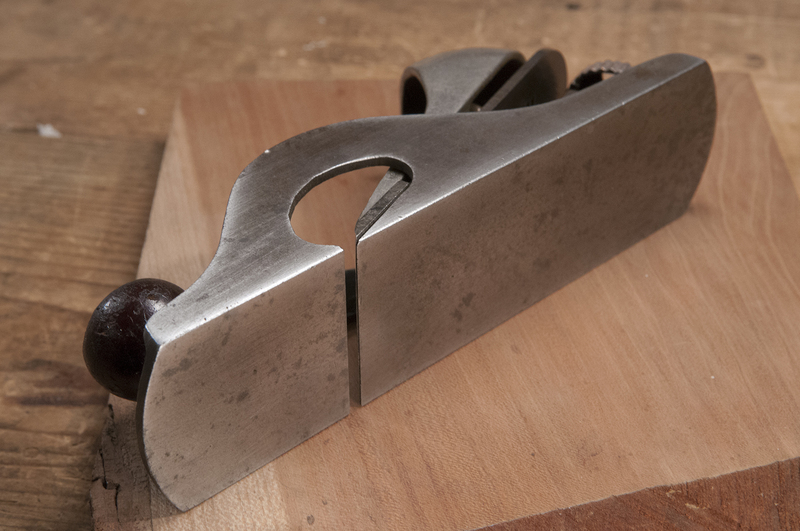 Low angle planes are typically used for cutting end grain, i.e., across the end of a cut, verses cutting along the grain, down the side of the wood. The lower angle is perfect for the shearing action needed to cut those end fibers. On cuts that will be visible and finished, this produces a very clean and smooth surface, whereas if left as cut from the saw, the grain tends to be very rough and porous. 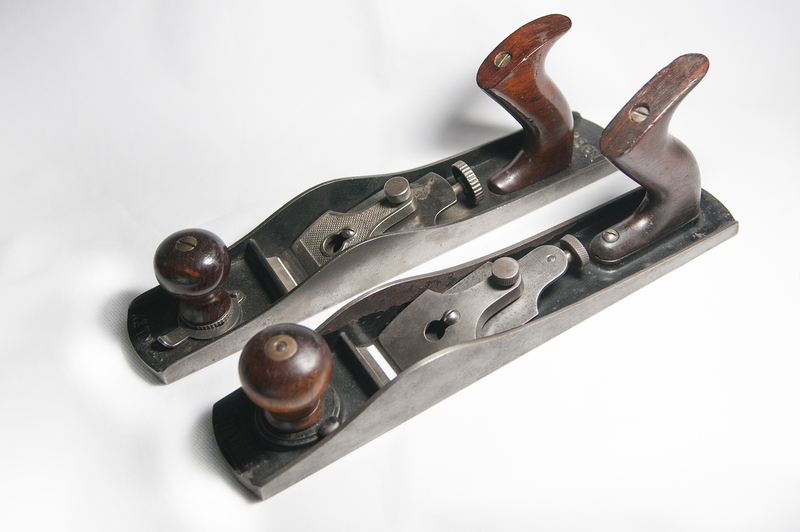 On both standard and low angle block planes, the iron is seated bevel up, whereas on bench planes the bevel is usually down. There is a tremendous advantage with bevel up irons in that the angle of the bevel can be changed to affect a change in the angle of cut. While there is more to consider in edge geometry than just the angle of cut (durability), you could reasonably sharpen the bevel on a low angle plane iron to 33 degrees and end up with an angle of cut of 45 degrees (12+33=45), the same as on a standard angle plane. However, to accomplish a low angle of cut using a standard angle plane, you’d have to sharpen the bevel at a very shallow 17 degrees (20+17=37). Durability of such a thin cutting edge would be problematic with most woods. For this reason, along with a few others, many people consider the low angle plane to be the more versatile of the two. I tend to agree. 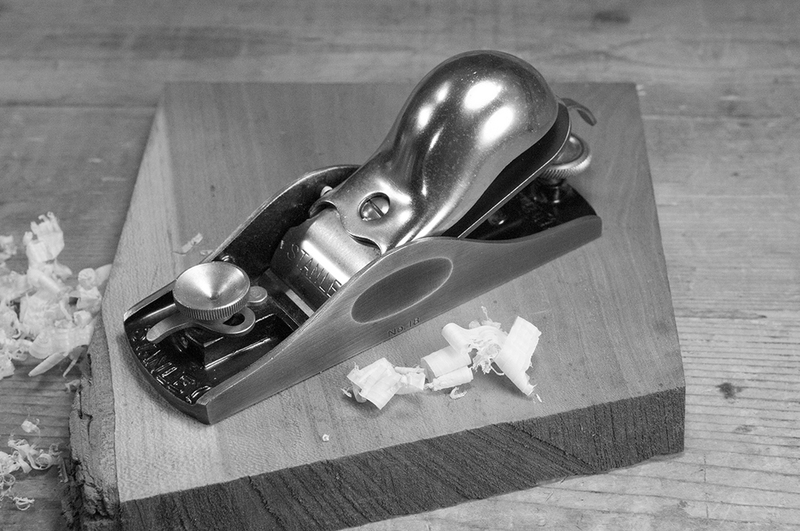 While I use my standard angle plane more often, if I could only have one block plane, it would have to be a low angle. For more detailed information on the three step process using hand planes, I highly recommend you check out Christopher Schwarz’s outstanding Course, Medium, and Fine, available on DVD. 1. Moxon, Joseph. Mechanick Exercises. London, 1703.